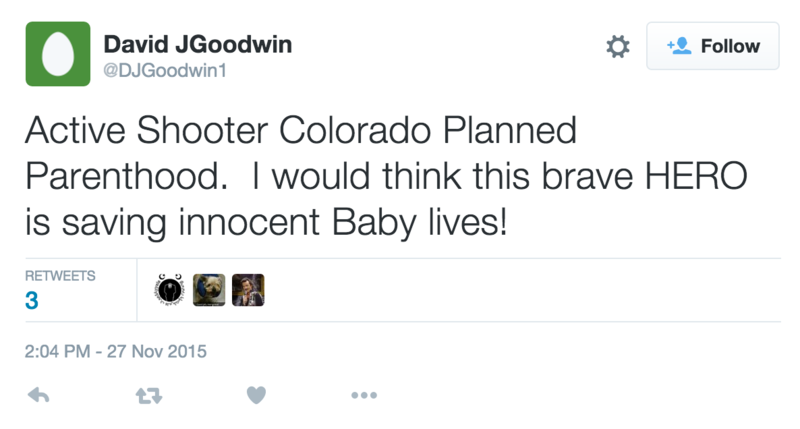 While the majority of the country is expressing sympathy to the victims of the Colorado Springs Planned Parenthood shooting, there are those who are so despicable, they’re praising the acts of this domestic terrorist that left 3 dead and 9 injured. 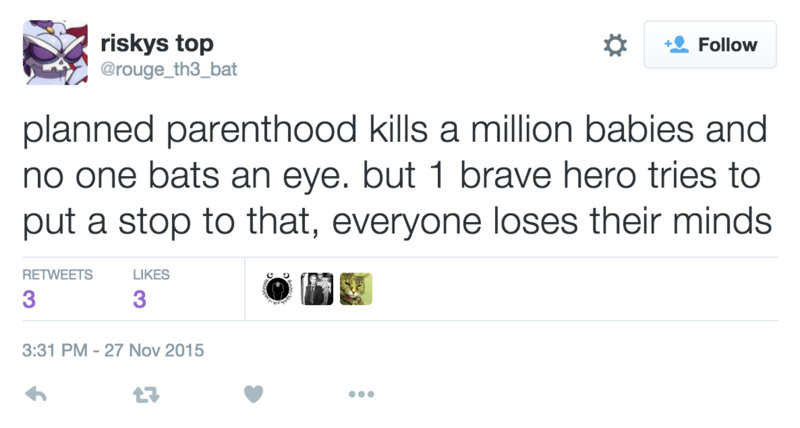 Yes, pro-lifers have found the silver lining. You can call them utilitarians, but to assume they’re contemplative, rather than motivated by blood-thirst, may be giving them too much credit. 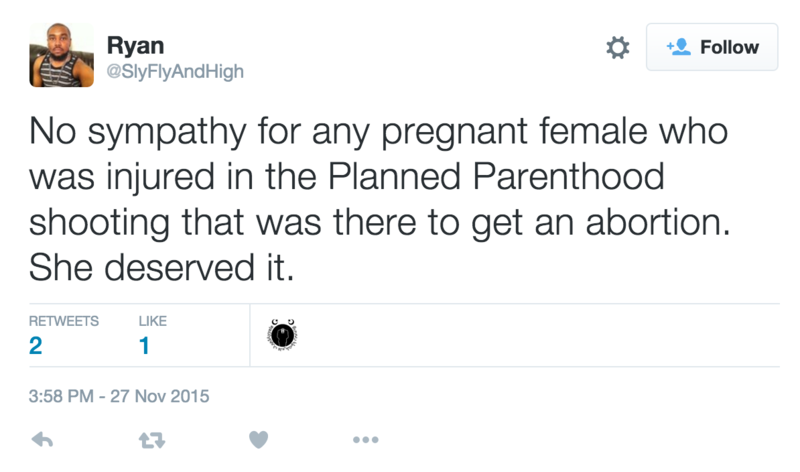 According to a select group of Twitter-dwelling anti-abortionists, the violence carried out by a man wielding an AK-type gun at a women’s health facility yesterday actually did more good than harm if you’re counting the number of abortions he prevented while interrupting the day’s services. According to Planned Parenthood, 3% of what they do is abortion services. The majority is contraception, STD screenings, and routine care. Statistically, it’s far more likely that someone will have to go a few more days wondering if that rash is something to worry about than being unable to obtain an abortion. Robert Lewis Dear indiscriminately killed three people who were already established in the world — not knowing their stance on abortion, not caring if his victims had families, giving no consideration to life. 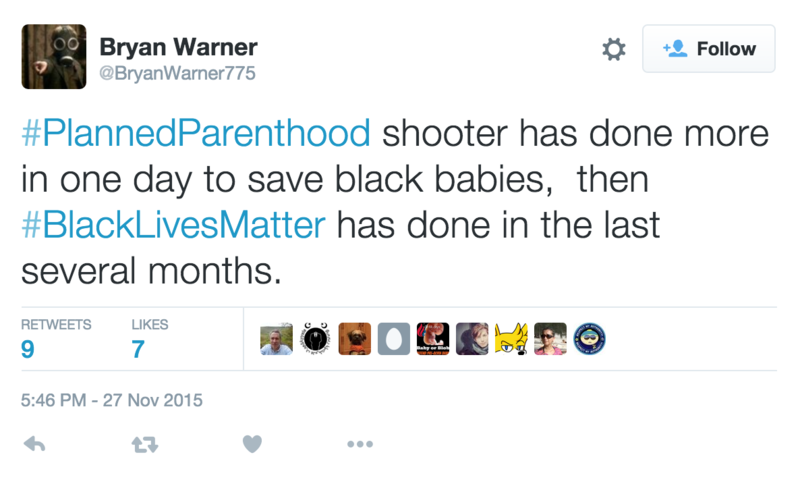 He is anti-life no matter how you spin it. Tweeting support, or justification, for his actions makes you no less of a monster. As far as I can tell, none of these Twitter accounts belong to Syrian refugees. If Penn & Teller Being Grand Marshals in a Christmas Parade is "Controversial," Who's Complaining?